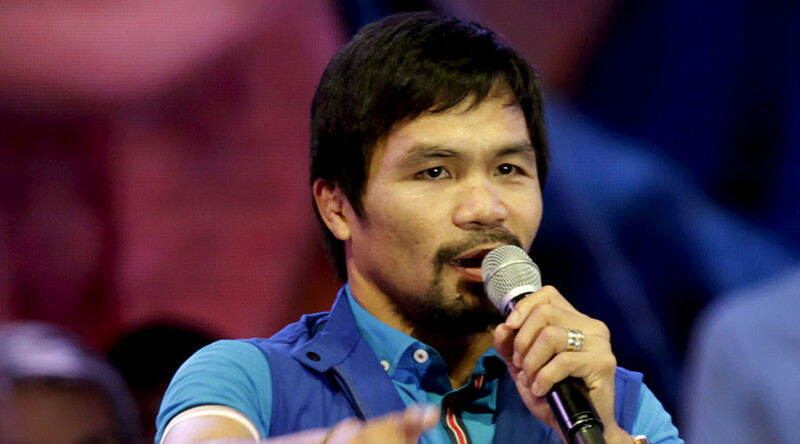 Boxing legend Manny Pacquiao has apologized after facing criticism for comments he made about homosexuals. The former world champion, who is currently pursuing a career in politics, described homosexuals as being “worse than animals” during a TV interview. “It's common sense - will you see any animals where male is to male and female is to female?” he said. Social media users also voiced their anger at Pacquiao's comments. Pacquiao, who is running for a seat in the Philippines senate in May's elections, has often spoken of his Christian faith, while many Filipinos hold similar views on gay rights because of their religion.